Package Testing | Hazmat Training | Ten-E.com | Who Needs HAZMAT Training? Working with hazardous materials, or hazmat, can be as dangerous as the name implies. A wide array of materials may be considered hazmat, ranging from flammable liquids to explosives and plenty more in between. It’s important to be aware of what’s considered hazmat, including which markings may indicate something is hazmat, and whether or not you need hazmat training. Odds are, if you’re reading this post, or even thinking that there is a chance you need the training, you probably do. Hazmat typically refers to any material that has the potential of posing a risk to the safety and well-being of the public. Naturally, anyone working with such things would require hazardous materials training. The different types of workers involved with hazmat vary as widely as the materials themselves. The Code of Federal Regulations stipulates that anyone who designs, represents, modifies, repairs, marks, manufactures, prepares, reconditions, tests, and/or ships hazardous materials must be trained every three years, with noncompliance resulting in penalties of up to $50,000. What this means is that any hazmat worker involved in any step of process- inception, creation, fabrication, packaging, shipping and receiving, must receive training. Safety is always of optimal importance, but dealing with hazmat calls for an extra level of safety. The best way to stay safe is to be informed and take an active role in protection and prevention. We value safety at TEN-E, and offer hazmat training workshops to promote that value. 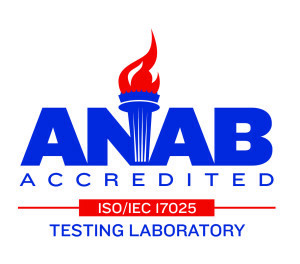 With over twenty five years of experience in dangerous goods and medical packaging, TEN-E Packaging Services is an ISO 17025 accredited resource for packaging and component testing services around the world. Proud to announce our new lab in North Carolina! Copyright © 2015 TEN-E Packaging Services, Inc. All Rights Reserved. Responsive Website Design by Solid Cactus.